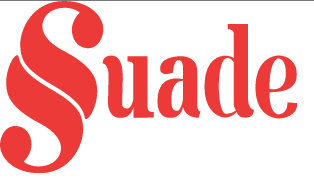 Suade provides financial institutions with a data-driven software platform to deliver their regulatory requirements. The company works closely with financial institutions in developing an industry-led solution. The founders, Diana Paredes (CEO) and Murat Abur (CTO), met at an international high school in Rome 15 years ago, and despite studying Engineering and Physics, both ended up working for top banks in London. After nearly a decade working for the likes of BNP Paribas, Nomura, Merrill Lynch, Bank of America and Barclays, the founders realised that all banks were facing the same manual challenges in dealing with regulation and decided to leverage their expertise to solve a major pain point for the industry. The company works closely with many banks, large and small, in the UK and around Europe as well as Simmons & Simmons in developing thought leadership on how regulation should be absorbed and how to create software-driven responses in what they label the ‘Spirit of Regulation’. Data openness remains the customer’s prerogative due to the sensitive nature of the work we do. Through ODINE and our FIRE project, we have been able to focus on an open format for data for when a firm chooses to share that data with the public or a third party. What makes the ODINE program different to other funding sources, is the focus on projects that deliver social as well as economic benefits. Any good business should deliver more than profits to its customers, community and the public and ODINE’s focus on this aspect is what makes it a unique. The power of data is that it costs almost nothing to share and the main trend now is to share data in a controlled manner through APIs.